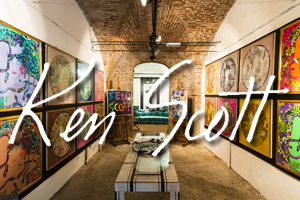 As a Sartirana Textile Show’s preview – Sartirana Lomellina 13-16 September – La Pila Eventi together with Nader Sobouti invites you to the exhibition TESSUTI DAL MONDO. 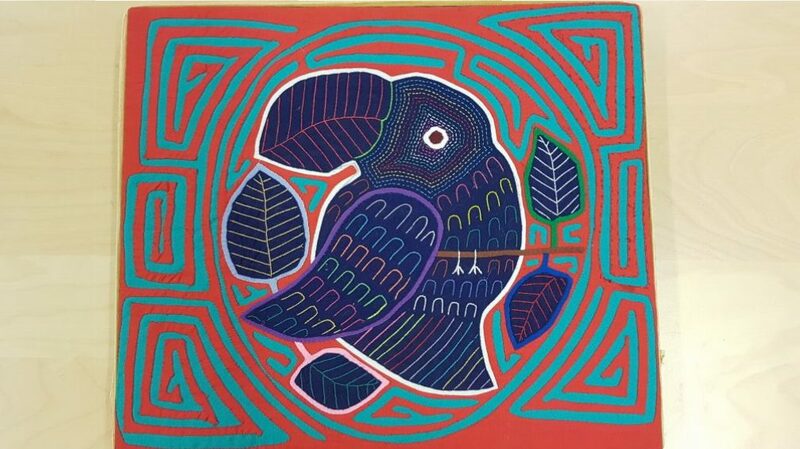 The exhibit displays a number of exemples of Textile Art from different countries all over the world: Cina, Japan, Panama, Central Asia, Ivory Coast. 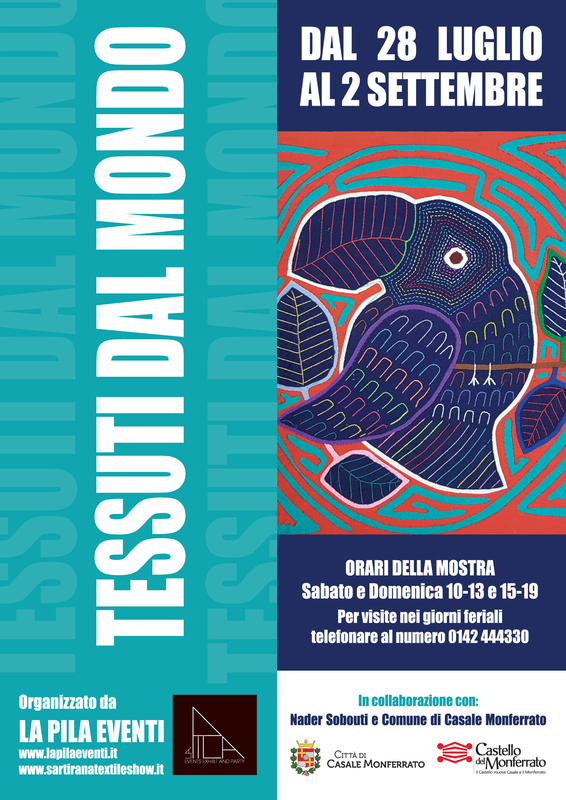 The show is held at Castello del Monferrato, piazza Castello, Casale Monferrato (AL) from the 28th July to 2nd September 2018. 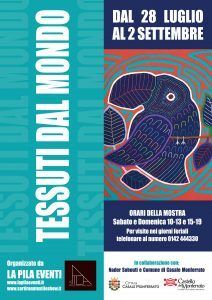 It is possible to visit Tessuti dal mondo every weekend (Saturday and Sunday) from 10:00 to 13:00 and from 15:00 to 19:00.